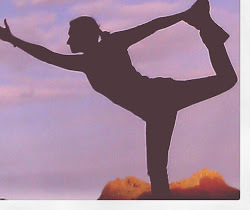 I began yoga teacher training at CorePower Yoga on February 4th, 2009. A little over 4 months later, I got word yesterday that I was accepted as an intern for CPY. Though I was guarded at the beginning about what my end goals were and the goals changed a billion times over the four months, ultimately I think I always wanted to be in this place. There are so many amazing teachers at CorePower, and the time I have spent in the various studios around the city has been invaluable to my overall health. I want to give back to this community that has given me so much. This has been a long road...and now the journey truly begins, as I work to become an experienced teacher one class at a time. I've been down that particular path before--and man was I a disaster my first few times in a classroom! And I will be here too, sometimes, but I'll also have many of the same successes I had that kept me in teaching. I don't have an official schedule quite yet, but when I do I invite you all to come and take a class with me! It will be an honor to practice with you.